Why buy a hair accessory? 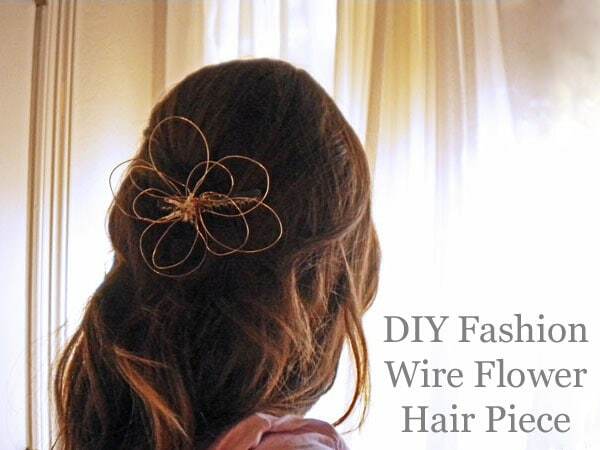 This DIY will show you how to make your own wire flower hair piece in a few simple steps. With such a busy schedule, hair is something that needs to be simple for most college students. 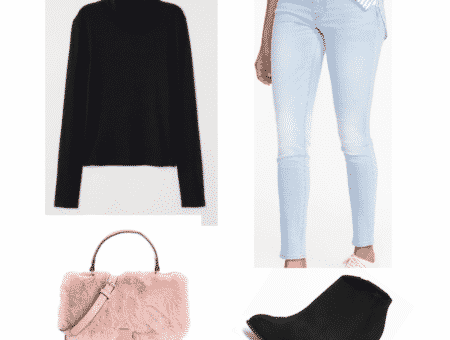 This means hair accessories are your best friend – they’re the quickest, easiest way to dress up a simple ponytail, for example. 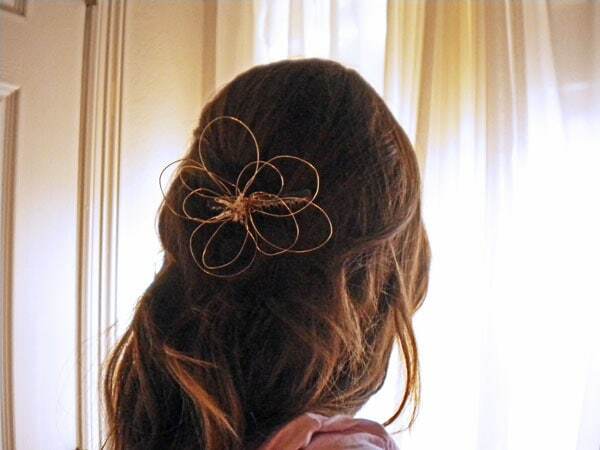 While not all hair accessories are budget-friendly, they are fortunately very easy to make on your own. 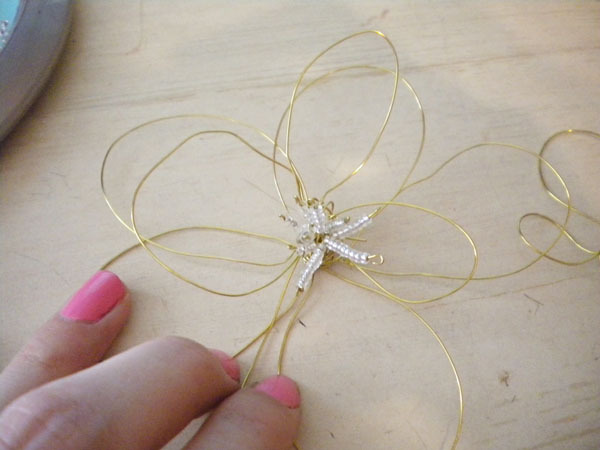 This DIY will show you how to make your own wire flower hair piece in a few simple steps. 1. 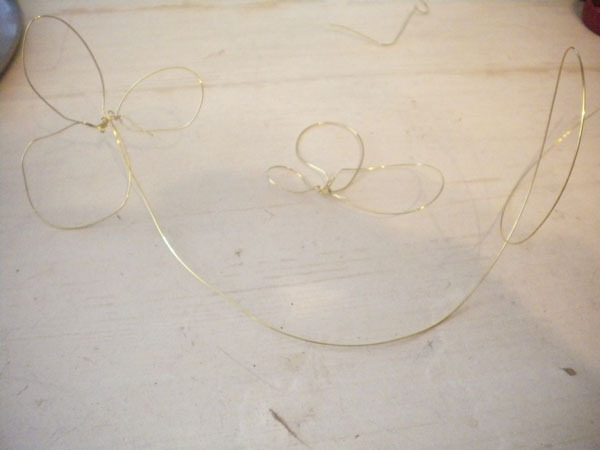 Using your wire cutters, cut a small piece of wire, about 3- 4″ long. Make a loop, leaving a little excess wire, and twist to keep the loop together. Make at least five of these. These will be your large petals. 2. Fold the twisted ends of each “petal” upward. Try to avoid bending the wire too much, since kinks are hard to get out. 3. Cut another piece of wire about 5″ long. Loop the wire through and around each petal to form the flower. Use the wire cutters to squeeze the wire and keep it together. The ends of the loops should be facing up. They will form the center of the flower. 4. Thread beads onto the ends of each loop. Once you’ve put as many beads as you want on one wire, twist the wire down to form a small loop so the beads don’t fall off. 5. Squeeze the loops with your wire cutters to make sure none of the beads fall off. 7. Place the “long” (24″) piece on top of your completed five-petal, beaded flower and wrap the excess wire from the long piece around the base. 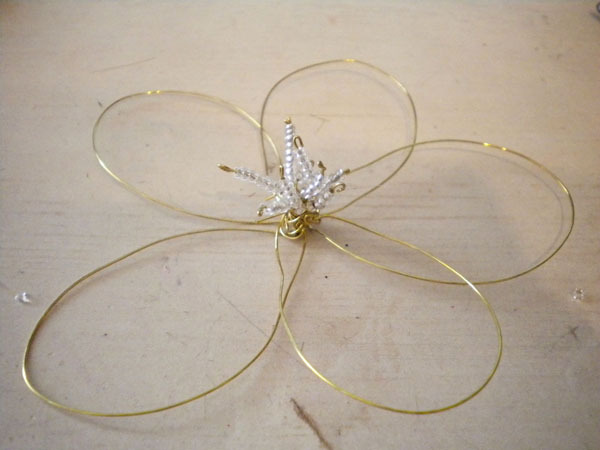 Then, place the “short” (formerly 12″) petal piece onto the flower and again loop the excess wire through this piece, so that all three pieces are connected. There should still be some excess wire left from the long piece. 8. Wrap the remaining excess wire around the teeth of the hair comb. 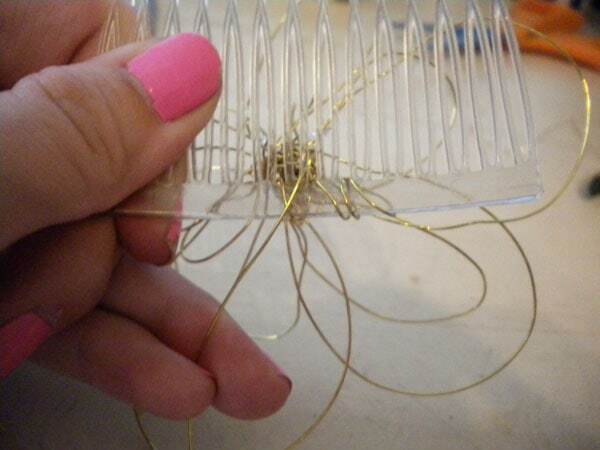 Go back and forth a few times, then wrap the wire around the base of the flower. Cut any excess off, and you’re done! 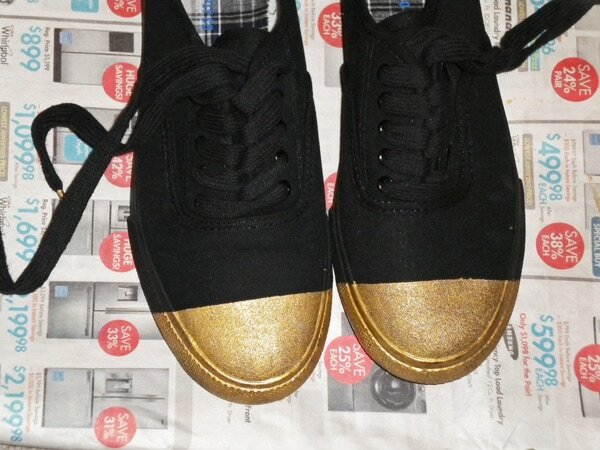 This DIY is something that you can easily alter to make your own. Wire is easy to form into whatever you want, and can be bought in different thicknesses and colors. You could even change the hair comb to a clip or a headband, buy different beads to change the look of this hair piece, or even incorporate pieces of fabric to give it a softer feel! It’s up to you. 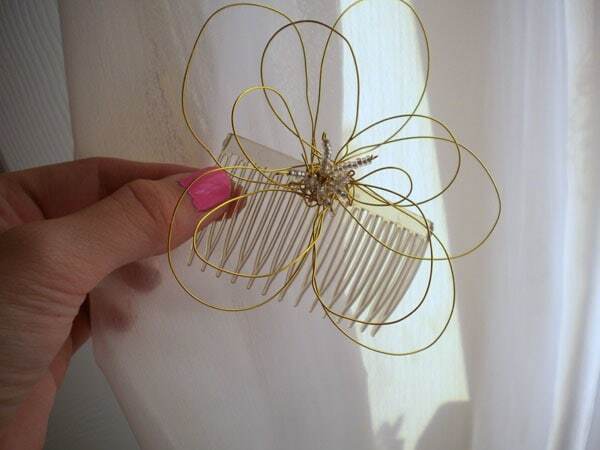 Will you be making your own hair piece? How will you make it your own? 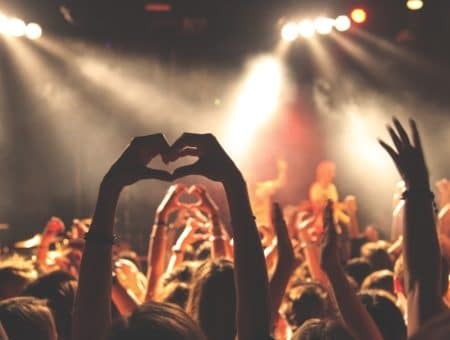 Have a fab DIY you’d love to see? Tell us in the comments!